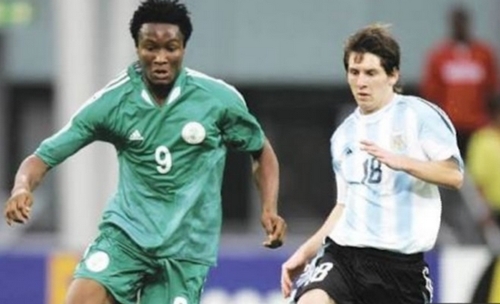 Super Eagles captain Mikel Obi has claimed Lionel Messi 'stole' the Golden Ball award from him at the 2005 FIFA U-20 World Cup held in the Netherlands. Messi after losing his Golden Ball award to him. Recall that Argentina star, Lionel Messi “stole” the Golden Ball award from Mikel at the 2005 FIFA U-20 World Cup held in the Netherlands. 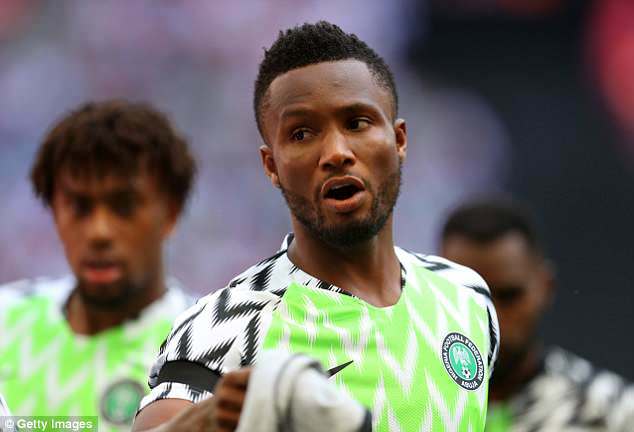 Before Nigeria and Argentina went into the final, Mikel was tipped to be awarded the Golden Ball for his impressive performances, but the Flying Eagles faced lost 2-1 no thanks to two penalties converted by Messi. “Yeah, Messi stole the Golden Ball off me". Mikel,remembered how the Super Eagles were able to beat Argentina 4-2 in last year’s friendly without Messi. “A certain human being wasn’t playing (in last year’s friendly). Actually, is he even a human being? Messi is Messi. He decides games and the last time we met he scored two against us at the Brazil World Cup. during his time at Chelsea and for the Super Eagles. “I was playing as a No 10 before I went to Chelsea but [José] Mourinho converted me to a holding player. “I enjoy it. When I was at Chelsea and there was a national team break, I’d go there and I’d enjoy it. I’d have this one or two weeks of freedom – to express myself and play the way I want. But at Chelsea, I did a job.